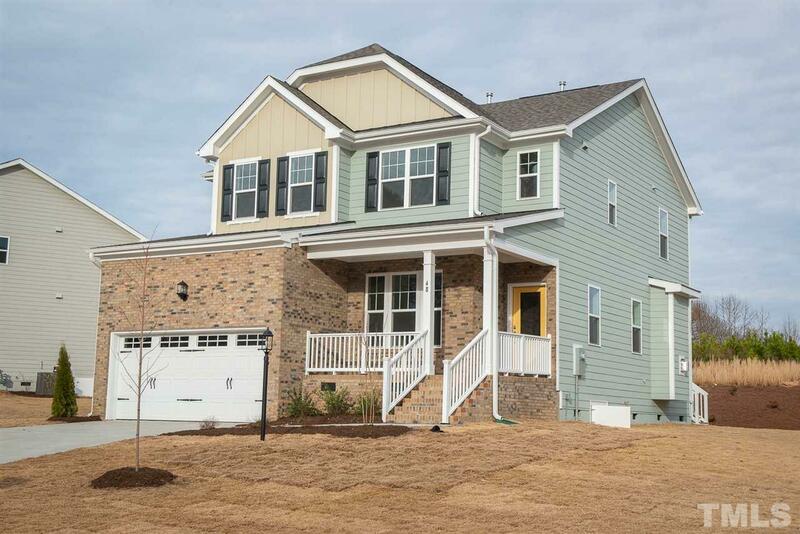 2,601 sq ft; lot: 12284 sq ft - MLS# 2214168 Courtesy of Terramor Homes, Inc.
Cypress Creek floor plan in Glen Laurel feats. a form din rm w/trey ceiling, beautiful kit open to the fam room and loads of special touches! The kitchen includes granite countertops, tiled backsplash, SS appliances and a large island. Upstairs you will find an Owner's suite with a private sitting area w/ fireplace, and his and hers master closets. Also upstairs, are the 3 additional, spacious bedrooms. This home is a must see! Complimentary 1YR. Pool membership to the Neuse Pool&Raquet Club from Builder!